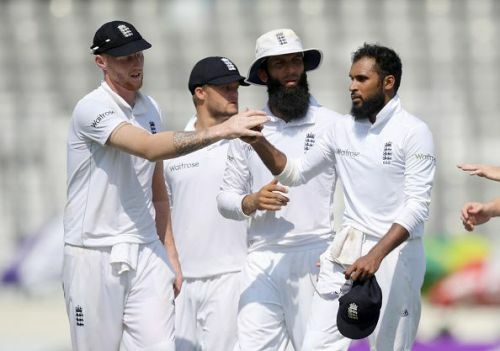 The England cricket team announced a 13-member squad for the first Test against India which begins on August 1 at Edgbaston in Birmingham. Amidst a lot of speculation, leggie Adil Rashid has been included in the squad. He has been included in place of Jack Leach and Dom Bess, the two spinners who have featured for England in the recent past. Rashid's selection will definitely raise a few eyebrows as the leggie himself thought that his Test career was over and refused to play in the County Championship this year. Former England captain Michael Vaughan did not hold back and criticised the selectors' decision to pick Rashid. “Before the selection meeting, Adil had confirmed his availability to play Test cricket for England for the whole of this summer and the upcoming winter tours to Sri Lanka and West Indies,” said Ed Smith, the national selector, while speaking to The Telegraph. Adil fully understands that if he wishes to be eligible for Test cricket in the 2019 season, he must have a county contract to play four-day cricket. Moving forward, England Test players must be committed to the County Championship. Clearly, the one-off circumstances around Adil’s return to the Test squad are unusual. However, the selection panel was unanimous in believing that Adil should be selected in England’s squad," he continued. Meanwhile, 25-year-old Jamie Porter was awarded a call-up for the first time in his career, replacing Chris Woakes, who is slowly making a comeback after his injury. Apart from these two surprise inclusions, the usual suspects have been named, with Joe Root captaining the side. England Test squad: Joe Root (c), Alastair Cook, Keaton Jennings, Dawid Malan, Jonny Bairstow, Ben Stokes, Jos Buttler (wk), Moeen Ali, Adil Rashid, Sam Curran, Stuart Broad, James Anderson, Jamie Porter.